Its name comes from the National Taiwan Normal University, which is often referred to Shi da. Shida translates to teaching school. The university is the largest teaching school in Taipei. It’s also known for its large population of international students. This helps to make Shida Night Market a trendy, hip, multi-cultural market, as well as one of the most English-friendly areas in Taipei, Taiwan. There are many clothing shops that line the streets. Most of them are boutique, which seems to be the name people give shops that are small and expensive. The prices aren’t actually that bad at Shida Market though. I bought a nice, but simple scarf for about $3. Sara got a fancier knitted one for about $7.70 USD. The food in Shida market ranges from fancy-ish restaurants to scrumptious street food. Lu wei is pretty popular in the area, probably because it’s filling and cheap. You’ll recognize a lu wei shop from the piles of meat, vegetables, tofu, and noodles. Just grab a basket and fill it with your favorites, then hand the basket over to the cook. They’ll cook it to perfection by dipping it in a tasty broth. Some stands have seating, but most fly food out their door via takeaway. Jian Kang Lu Wei (Healthy Lu Wei) is a small popular stand for cheap eats. Deng Long Lu Wei (Lantern Lu Wei) is also very popular and has more seating (there’s an upstairs). We ended up skipping the lu wei and first headed to a fried chicken stand. Taiwan fried chicken is kind of world famous. Ever have KFC’s popcorn chicken? That’s basically Taiwan fried chicken. Bits of chicken are battered and deep-fried. It’s juicy, crispy, garlicky… It’s fried chicken! What’s not to love (other than the calories)? We went to Chicken Kings and got a bag of chicken bits for NT$60 ($1.85 USD). Taiwan loves to wrap things in crepes or pancakes. I love them for this. After fighting over the last piece of chicken, Sara and I went over to Arnor crepes. The video tells the story far better than I can, but basically they cooked a crepe, fill it with whatever you want, then roll it into a cone and send you away to indulge in it. We got the Hawaiian, because we can’t turn down the combination of pineapple and ham. For a pretty large serving it cost NT$90 ($2.77 USD). It’s enough to fill up even the hardest studying student. After that, we were ready to die, but we decided to just go back to our guesthouse to sleep instead. On the way, we stopped for our first official (as in made in Taiwan) Taiwanese bubble tea. If you’re unfamiliar with bubble tea, negative comments questioning your character it’s a milk tea usually served with tapioca balls. The tea itself, which can be hot or cold, is sweet and creamy, but the tapioca balls often turn-off westerners. Imagine sucking on a delicious liquid and suddenly being shot in the mouth with a goober marble. Tapioca balls are actually pretty tasty, but they require chewing. I am lazy. I prefer my bubble tea without the bubbles. I love Shida night market. If you’re in Taipei, head there to shop til you’re about to drop, and then use that last bit of energy to get some amazing food. 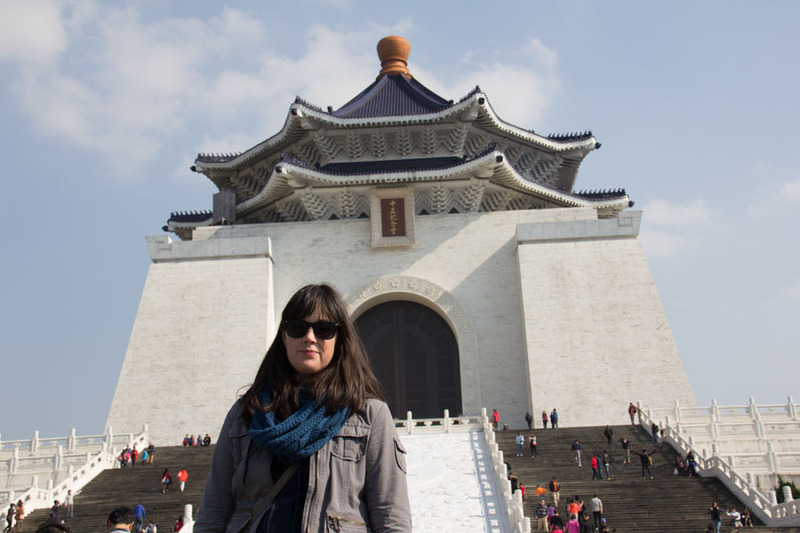 I have a guide to Taipei that will show you how we saw the city for only $300/week. Dude, click the link!